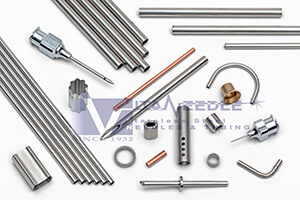 Vita Needle utilizes Electrical Discharge Machining, otherwise known as EDM or spark machining, as one method to fabricate burr free cut to length tube parts. In addition to cut and deburred tubes, Vita relies on EDM to fabricate features on tubes, ranging from simple slots and angled cuts to holes, patterns, contours, skives, complex shapes and other unique geometries. Fabricating tubing using EDM is a CNC process. A program is generated which drives the wire (or sinker electrode) along the designated tool path, and the resulting high frequency electrical discharges between the workpiece and the electrode erodes the specified path. Because EDM can work with any electrically conductive material (including stainless steel or any of our high nickel alloy offerings), it is perfect for fabricating all types of tubing that Vita Needle sells. EDM allows Vita to quote fast lead times on highly demanding designs with challenging tolerances. 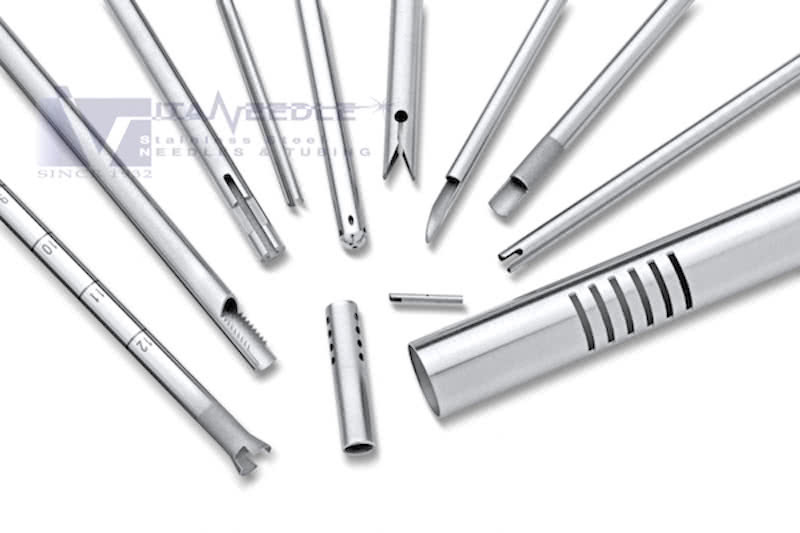 Combined with traditional machining techniques and other capabilities, EDM technology greatly enhances the overall tube fabrication capabilities that Vita Needle can offer. 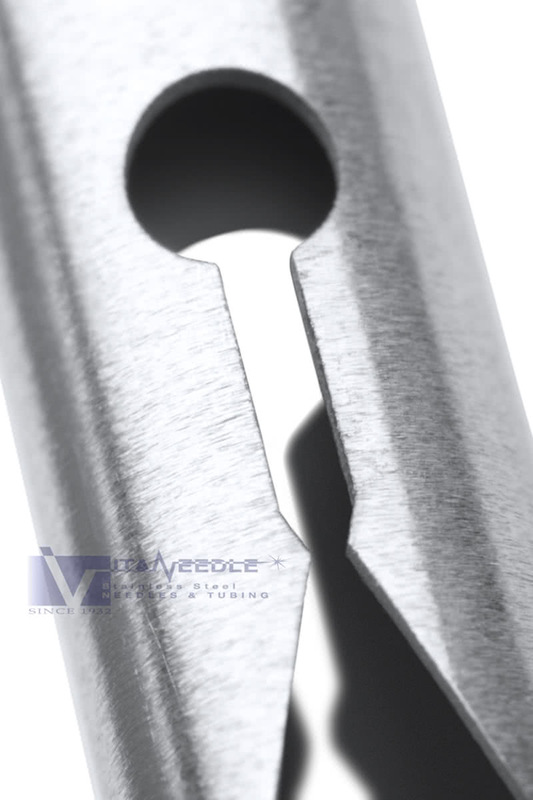 Through research and development, Vita Needle has recently pushed limits for EDM capabilities---to the point where EDM can effectively replace grinding for some applications!